Save over $30 on iPhone 7 and 7 Plus Screen Repairs! Do you have an Iphone 7/7 Plus with a cracked screen? 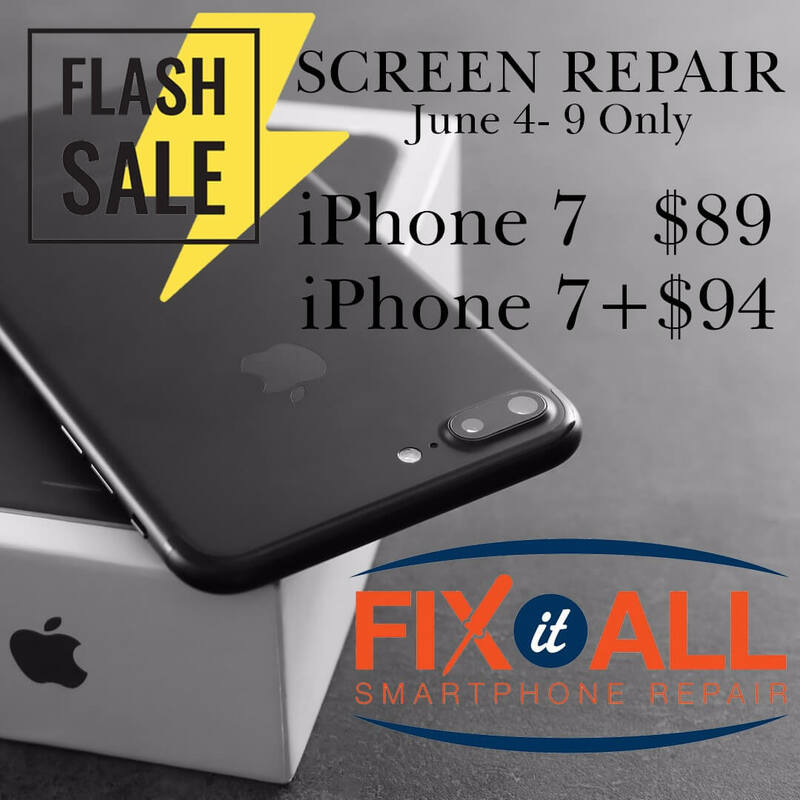 From June 4th until the 9th we’re running a special online price of just $89(Usually $120) for an iPhone 7 and just $94(usually $130) for an iPhone 7 Plus screen repair. Redeem this offer by showing this image to your Fix It All technician at our Bel Air location. Have more questions? Feel free to contact us here.